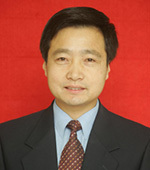 Dr. Hao is a leading scientist in Chongqing, China. He is a recipient of the special government allowance from China’s State Council. Dr. Hao has 32 years of experience in medical care, education and research (four years in Internal Medicine, 14 years in infectious diseases and 14 years in Dermatology). His clinical foci include infectious diseases, deep mycosis, allergic diseases, acne and venereal diseases. He has identified and reported numerous rare clinical cases. His report on rare skin disorders received recognition from China’s military in 2012. He has also written treatment guidelines for several skin diseases. He led the clinical research for several new drugs in China and has participated in four international clinical research projects, including those on psoriasis and systemic lupus erythematosus. As an educator, Dr. Hao was recognized by the Chinese People’s Liberation Army in 1998 and in 2005. He was an editor for three editions of the textbook Dermatology issued by China’s Ministry of Health. Dr. Hao has led nine research projects sponsored by the National Natural Science Foundation of China, two of which are on-going. He has also led research sponsored by the Chinese People’s Liberation Army and the Chongqing Municipality. His research findings have won a National Scientific and Technological Progress Award, among other recognitions. He was Editor-in-Chief for two books and an Editor for 22 books. He has published over 200 professional papers, 32 of which were included by the Science Citation Index. His publications have accumulated an Impact Factor of 106. Dr. Hao serves as Vice Chair of the Chinese Dermatologist Association, and standing committee member and Deputy Secretary General of the Chinese Society of Dermatology, among other professional posts. He is Associate Editor of the Journal of Practical Dermatology and the Journal of Dermatology and Venereology. He is on the editorial board of a number other journals including the Chinese Journal of Dermatology, the Chinese Journal of Allergy & Clinical Immunology and the Chinese Journal of Dermatovenereology.